Unlike snack cakes, vehicles have a shelf life — one that could be years or possibly weeks away. Stay on top of your transportational needs with the help of a bank just around the corner. Take advantage of our quick and easy process, fueled by our local decision-making. Plus, we offer competitive rates and accommodating terms that always keep you in mind. If you're somewhere in between a modern-day ride and a classic car, but not quite pulling off either, BRB can take you from awkward to auto-tastic. 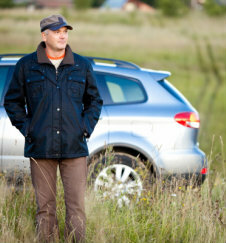 On-road, off-road — wherever your vehicle drives, accommodating financing is just the same. We work closely with you to customize financing for both daily drivers and recreational vehicles.